He is one of the most iconic actors in the world thanks to his role in the James Bond movies. 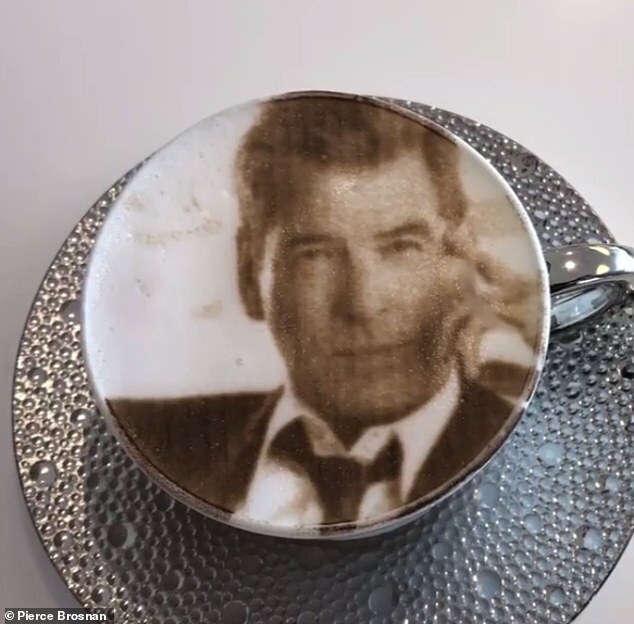 And Pierce Brosnan, 65, couldn’t contain his delight as he enjoyed a coffee with his face on it in Dubai on Wednesday. 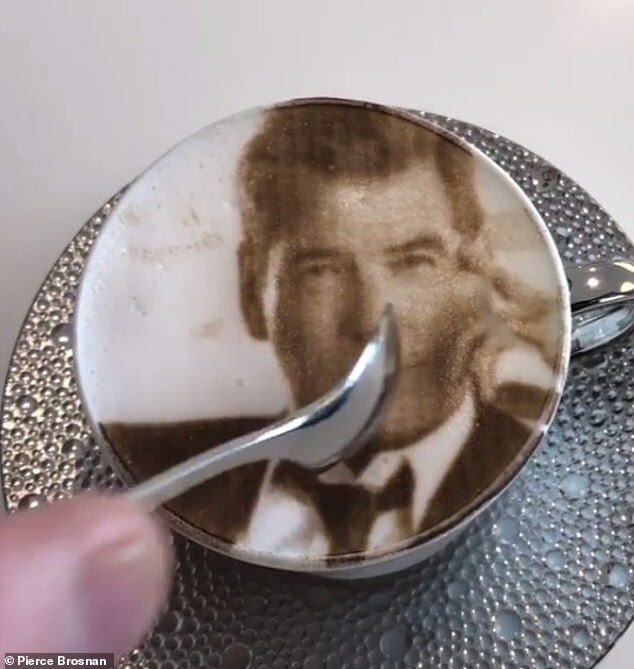 In a short clip shared to his Instagram, the American actor ploughed his spoon through his 007 coffee etching before the camera panned to him to show his enthusiastic reaction. 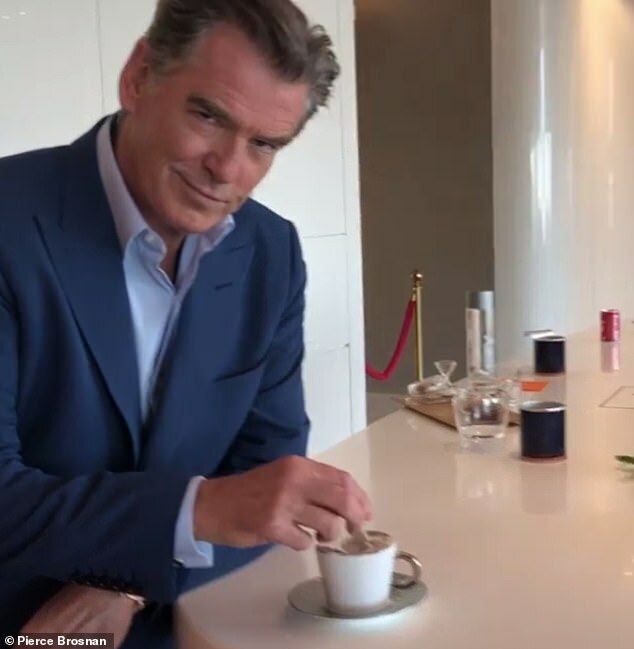 Looking as dashing as ever in a navy suit and baby blue shirt, Pierce looked in his element as he enjoyed the warm personalised beverage. ‘Good morning one and all …❤️yep! I asked for a coffee and I got myself ! thank you @Jetex Dubai … camera work and laugh by the beautiful ❤️,’ he delightedly captioned the snap. Pierce appeared to be without his wife Keely Shaye Smith, who he has been together with for 25 years. 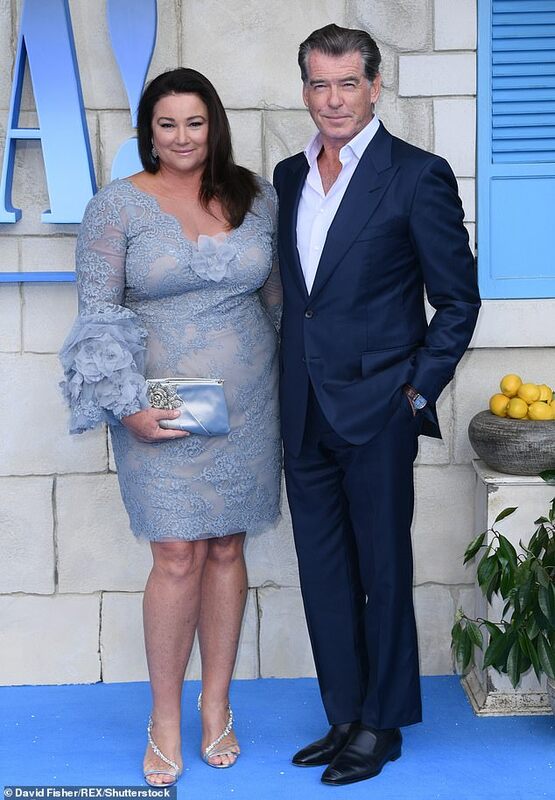 The silver fox and Keely have been together since 1994 and tied the knot at Ballintubber Abbey in County Mayo, Ireland, in 2001. The actor was previously married to Australian actress Cassandra Harris. 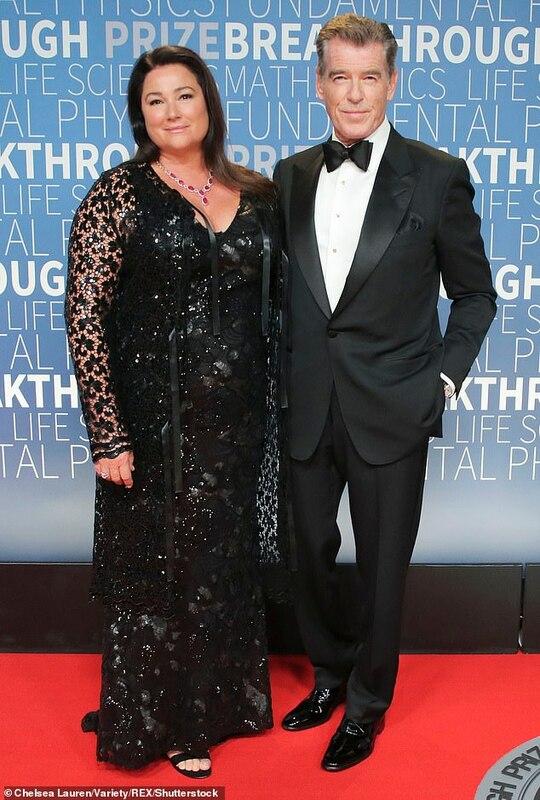 The couple met in 1977 and married in 1980, but Pierce was widowed in 1991 when his wife passed away at the age of just 43 after a battle with ovarian cancer. 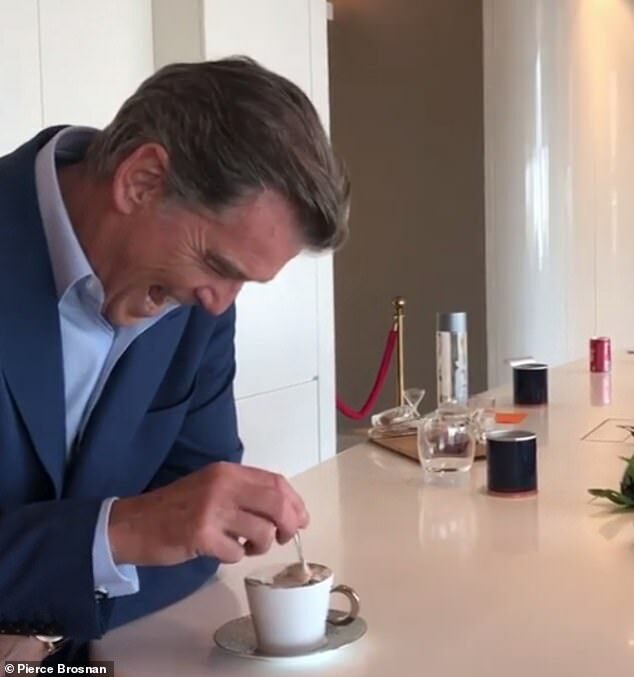 Pierce and Cassandra had one son, Sean, 35, together; and the actor adopted his wife’s two children, Charlotte and Chris, 46, when their father Dermot Harris died in 1986. Charlotte tragically died from ovarian cancer – the same illness that took the life of her mother – in 2013 at the age of just 41. The actor has often been vocal about how Keely saved him from depression following his personal tragedies, describing her as a ‘ strength I wouldn’t be able to live without’.